Happy Summer, FiberLocator users! We’ve kicked off the summer with a bang and are so excited to share our progress with you. We’re holding steady at 330 unique carriers for fiber maps and 393 map layers, but we’ve reached over a million unique lit building addresses! Click here to see the latest and greatest FiberLocator numbers! Happy May, FiberLocator users! We’re off to a great start in the second quarter and are pleased to share our progress with you. We’re up to 330 unique carriers for fiber maps and 393 map layers. Click here to see the latest and greatest FiberLocator numbers! Happy Spring, FiberLocator users! We’ve just wrapped up a great first quarter and are excited to share our progress with you. In addition to 22 Lit Building updates, we’ve also updated 46 fiber maps, and added 4! Did we mention that we are back over a million carrier records for lit buildings? 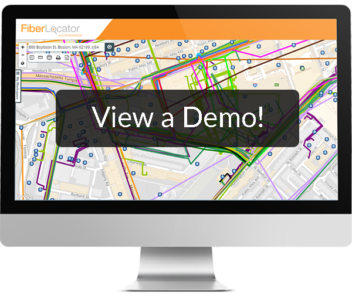 The holidays are in full swing bringing cheer and new data updates for FiberLocator! This month our Carrier Spotlight is on Comcast Bushiness, we recently updated our database with a new list that they provided us. After uploading their new information, along with the help of other carriers, our database now includes 328 unique carriers for fiber maps with 393 map layers and over 970,000 lit building unique address records! Be sure to check out our most recent data stats here, and check back often for more updates.